Please post back here if it works. The link works but this file won't work. After installing and rebooting you will get a notification that "Some updates were not installed". I downloaded the full 10.13.1 app and recreate the USB installer using "macOS High Sierra Patcher" app from http://dosdude1.com/highsierra/. Hi, i followed guide above, but for Mojave. And i cant get wifi work in installer mojave. This is my terminal: is it wrong? Restored target device is /dev/disk7s2. AirPortAtheros40.kext - dependency 'com.apple.iokit.IO80211Family' not found. Unfortunately to generate a working prelinked kernel for Mojave, the PLK tool needs to be run in Mojave (with Mojave's kextcache binary), otherwise you see the errors about the missing dependencies. Try the prelinked Mojave kernel that I have already posted here Mojave and AirPortAtheros40.kext. 2. Copy any extra kexts necessary for booting your hack to ~/Downloads/BaseSystem/ExtraKexts (e.g. FakeSMC, VoodooPS2Controller), making sure SIP﻿ is disabled﻿. that symblink error is fine . your prelinkedkernel is generated succesfully . you can now proceed .. Thanks. I successful to enable wifi at the first time. But after step 1, next boot screen to setup else, I realized wifi still off, did you get the same? 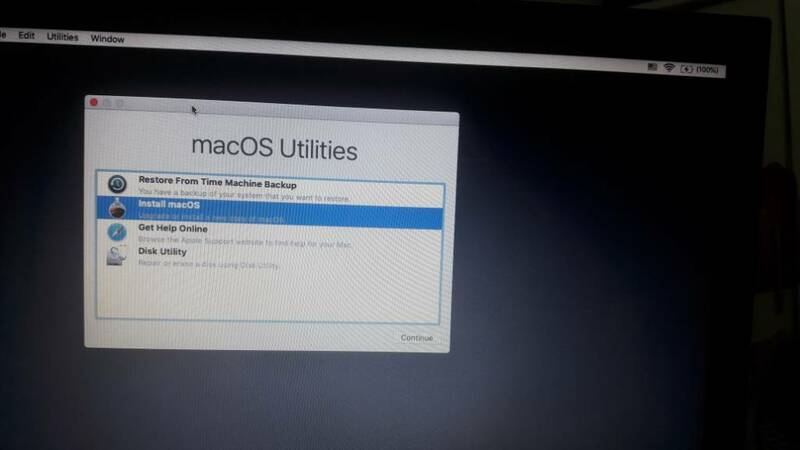 No need to copy both IO80211Family.kext and AirPortAtheros40.kext, just IO80211Family.kext IO80211Family.kext from High Sierra already contains AirPortAtheros40.kext inside its /IO80211Family.kext/Contents/PlugIns folder. then reboot your system. Your Atheros wifi should now work. hello, i got new problem in other case: i created Installer Mojave with createinstallmedia method, and S/L/Prelinkedkernel inside BaseSystem.dmg - which file not write, only read. So how to put modifed Prelinkedkernel replace for original file, sir? The terminal app for the installer can be opened by clicking on the Utilities Menu at the top. 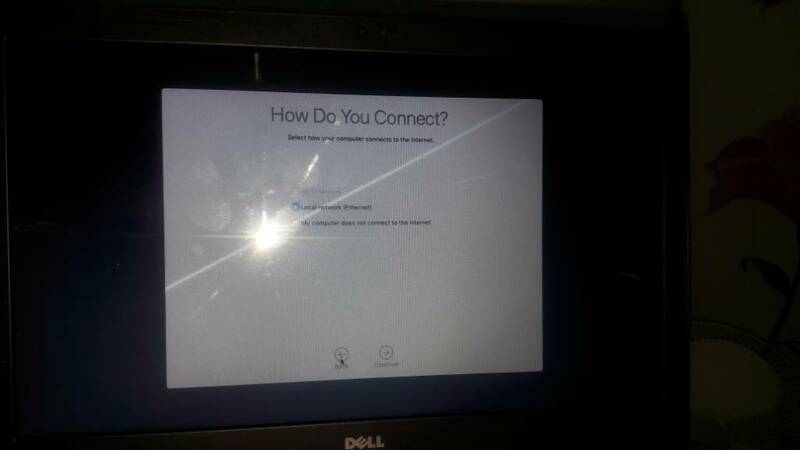 However, easier for noob to continue installation on the hard drive (click "My computer does not connect to the internet") ---> set up the new user, then install AirPortAtheros40.kext through terminal or kext utility ---> reboot and wifi can now be set up. Those on Mojave who wish to run an older Mac OS X, e.g El Capitan, using the above method,their is a way to Install and run using your CURRENT Clover config.plist. Secret is copying PlatformSupport.plist to /S/L/CoreServices in BOTH Installer and Installed. Copying to Installer requires customizing BaseSystem.dmg, probably for advanced users. I can use same kexts in both as well.